ClickHouse is fast and scalable open source SQL DBMS from Yandex. In this talk, I will briefly review what's new in 2018, and concentrate on advice and case studies how ClickHouse can solve immediate problems without significant investments of time and resources. ClickHouse can handle petabytes of data, but it perfectly works for smaller projects, thanks to its performance and easy integration with MySQL, Logstash and other open source technologies. 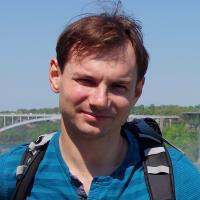 Alexander Zaitsev is a Director of Engineering at LifeStreet and co-founder of Altinity. He has been involved in software development, alongside academic research, since 1997. Alexander's interests include distributed architecture, databases and analytics. His focus is on building analytics solutions using database management systems capable of processing up to a petabyte of data, such as MySQL, Oracle, Vertica and ClickHouse. Alexander has a Master's degree in mathematics and computer science from Lomonosov Moscow State University.